ISD was successful in winning the contract to build 2no. freezer chambers and a loading dock area for Yearsley Logistics the UK’s largest frozen food logistics service provider. Working for the project main contractor Russell Construction, ISD Solutions chose Kingspan KS1100 wall and ceiling panels for the construction of the freezers and loading dock area. 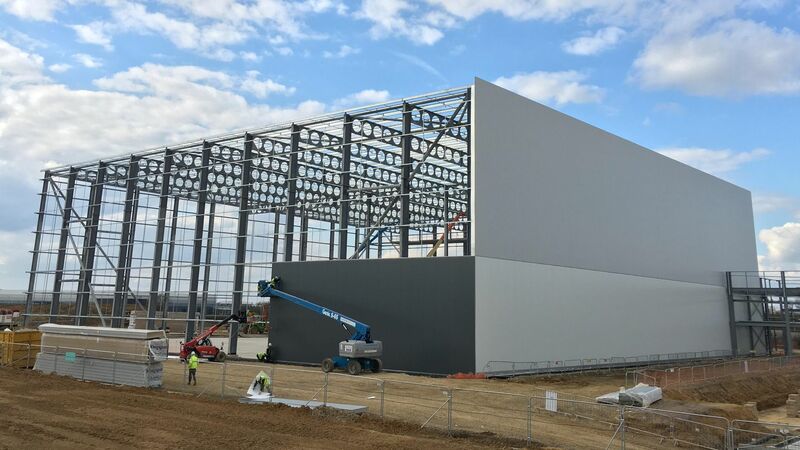 Installing 10,140 sq metres ceiling panels and 7,550sq metres of wall panels ISD Solutions completed the cold storage build within the 12-week programme allowed. The build was further complimented with 10no. insulated personnel doors that were manufactured at ISD Solutions Gloucester factory along with all the bespoke trims required for the project. In addition to the wall and ceiling installation ISD Solutions procured and installed 26,260sq meters of floor insulation including the High-Density insulation which formed part of the ‘super insulated’ flooring which allows the fully automated freezers to run at minus 35 degrees. 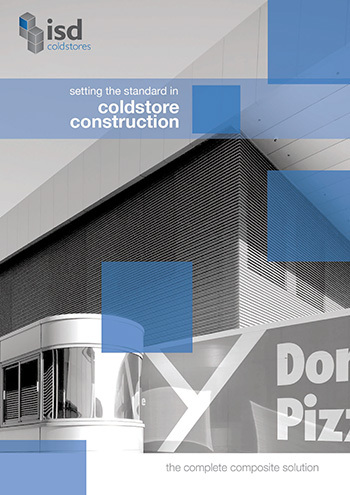 The building was subject to stringent fire safety regulations handed down by the building authorities and ISD Solutions were pro-active and instrumental in the design and development of the cold storage facility to ensure these regulations were met and exceeded.